GRANBY, Colo. -- Investigators were trying to determine Friday how a Texas woman fell to her death from a chairlift at a small Colorado ski resort, the first fatal fall in the state in over a decade. The 40-year-old woman’s two daughters were also injured after falling about 20 feet with her on Thursday morning at Ski Granby Ranch about 90 miles west of Denver. Their names haven’t been released, but police said they were visiting from San Antonio. The 12-year-old daughter was treated and released from the local hospital, but her 9-year-old sister was airlifted to Children’s Hospital in suburban Denver. Her condition wasn’t released. The Quick Draw Express lift, which brings skiers to beginner and intermediate terrain, will remain closed until state regulators can determine that it is safe for the public to use, said Lee Rasizer, a spokesman for the Colorado Passenger Tramway Safety Board. 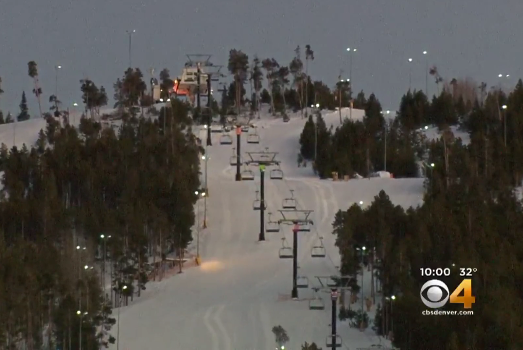 There is no timeline for when the lift will reopen, CBS Denver reported. The most recent license for the lift was effective two weeks ago and lasts through 2017. One mother whose child witnessed the accident said they had been riding the lift for the past three days and were constantly getting stuck. Each stop caused the chair lift to bounce and sway. She said she was stopped on the lift for 10 minutes earlier on Thursday and said she wouldn’t be surprised if the investigation shows a mechanical issue with the lift, according to CBS Denver. The ski industry expressed its condolences to the family. Chairlift deaths are rare, both in Colorado and across the country. People are five times more likely to die in an elevator accident and eight times more likely to die in a car accident than on a ski lift, said Chris Linsmayer, a spokesman for Colorado Ski Country USA, the trade group representing most of the state’s ski resorts. “These things don’t happen very often,” he said, referring to statistics from the National Ski Areas Association regarding deaths due to mechanical problems with chairlifts. Falls are also sometimes caused by mistakes made by riders or medical problems. According to a report from the association, there have been three deaths from falls not related to any mechanical problems since 2004 in the United States. The Ski Granby lift was equipped with a safety bar, but it’s not clear if it was being used, Linsmayer said. Colorado’s worst accident happened in 1976, when four people were killed after cable wires became entangled in a gondola in Vail. In 1985, two people died at Keystone Resort after the welding on the large wheel used to pull the cable failed.